Representatives from more than 50 local and national corporations, federal agencies and nonprofit organizations will meet with hundreds of deaf and hard-of-hearing students?”who are also prospective employees?”at the 18th annual Career Fair on Oct. 17 at RIT’s National Technical Institute for the Deaf. Representatives from more than 50 local and national corporations, federal agencies and nonprofit organizations looking to diversify their workforce will meet with hundreds of deaf and hard-of-hearing students—who are also prospective employees—at the 18th annual Career Fair, 12:30–4 p.m. on Wednesday, Oct. 17, at Rochester Institute of Technology’s National Technical Institute for the Deaf. The event will be held in Lyndon Baines Johnson Hall on the RIT campus. A record 53 companies, including Lockheed Martin, Caterpillar, Merck, NavSea, Texas Instruments, the CIA and Prudential Financial, are participating in this year’s career fair. Quicken Loans, PNC and Datto, the cybersecurity and data backup company whose founder, RIT alumnus Austin McChord, recently donated $50 million to RIT, will be attending for the first time. Interpreters will be available at each table to facilitate communication as recruiters meet the estimated 400 students participating. 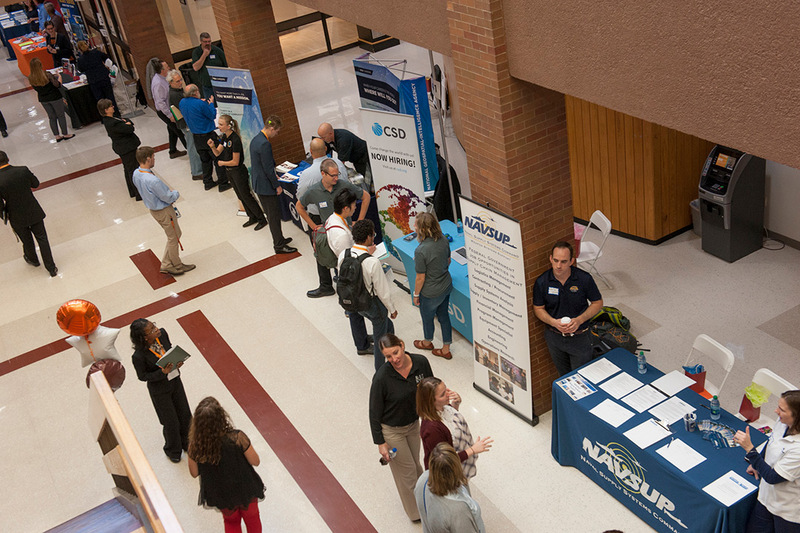 Between 25 and 35 RIT/NTID alumni will be coming to Rochester this year to represent their companies at the career fair, serving as recruiters and role models for deaf and hard-of-hearing student job seekers. An employer panel consisting of representatives from PNC, Route 66 Promotions, Naval Sea Systems Command and the Pacific Northwest National Laboratory will provide students with insight into what companies are looking for in new employees from 6 to 7:30 p.m. on Tuesday, Oct. 16, in the college’s CSD-Student Development Center, rooms 1300/1310. RIT/NTID’s Center on Employment, the career fair sponsor, also will recognize four companies who consistently hire deaf and hard-of-hearing individuals. The companies are Eastman Kodak Co., the Learning Center for the Deaf, Route 66 Promotions and Prudential Financial.